In the Fall of 2012, iHire underwent a cultural transformation into a Results-Only Work Environment (ROWE). In short, this innovative workplace practice focuses on the results of employees’ efforts, not their hours. Team members have the freedom to work when, where, and with whom they want, as long as the work gets done. We recognized that achieving work-life balance is key, and adapted our business practices accordingly. Part of this shift to ROWE included unlimited paid time off (PTO). 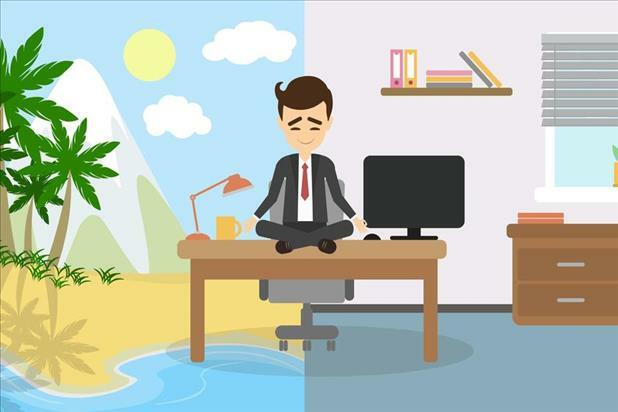 That’s right – iHire employees can take as much vacation time as they want as long as they deliver their expected results and coordinate with their teams for coverage. Sound crazy? Picturing an empty office building? Well, that is not the case for iHire! Unlimited PTO has worked really well for us – increasing engagement and productivity, in fact – but not without necessary learning and adjustment periods. After implementing unlimited PTO, we quickly learned we had two main camps of people: those who took full advantage and those who rarely took time off. It was difficult for the latter camp to shift their mindsets from thinking of PTO as being a specific amount of “earned” time. Without a sense of earning their days off, these associates felt guilty taking a vacation. We also had a small set of people who abused the policy, taking so much time off that they were mistreating their team members and not meeting the #1 requirement of ROWE: results. In 2014, we addressed these issues with a companywide retraining of what the expectations are for working in this environment. We clearly defined what our unlimited PTO policy is (and is not), recommunicated those guidelines to our team, and answered any questions employees had. While still respecting our team members’ desire for autonomy, we reemphasized that accountability and collaboration (two of our core values) are equally important. Flexibility is another key component of ROWE, and while related to unlimited PTO, they are two separate benefits. At iHire, we define PTO as “unplugged time.” This means the associate is not actively working or “plugged in” to the technologies that enable them to work. Their team members are not expecting them to be available, and they have planned ahead accordingly to ensure results and expectations are met during their absence. With flexibility, employees can “unplug” for a few hours during the regular work day for an appointment or other obligation, but decide to “plug in” later to finish up their work and meet the expected results. For example, iHire’s team members can adjust their daily schedule for medical appointments, house repairs, family obligations, etc. as needed. Unlimited PTO and flexibility are different benefits and should be treated as such. A lot of analysis has been done on the pros and cons of unlimited PTO, and I agree with a lot of what I’ve heard and read. On the one hand, it enhances work-life balance and attracts new employees (we’ve hired 8 new team members in the last 15 months). For the company, it removes the burden and liability of tracking PTO, avoids accrued expenses associated with PTO, and eliminates the end-of-year rush to take time off (or lose it). On the other hand, as we’ve witnessed, it has the potential to be both over- and under-used. iHire continues to offer unlimited PTO and not count hours. However, we do expect (and trust) our team members to work the necessary amount of hours to achieve high-quality results. Should Your Company Offer Unlimited PTO? Unlimited PTO isn’t for every organization, and may simply be impossible for some industries and careers. However, as Millennials are taking over the workforce with Generation Z close on their heels, companies need to rethink their benefit offerings and workplace policies to meet the desires of these individuals. For an unlimited PTO policy to work, it’s critical to foster a workplace environment centered around accountability and trust. iHire has built a team of A-Players who treat one another with respect. Unlimited PTO works for us, and is one of many unique benefits that bolsters our reputation as an employer of choice.